Canada’s three largest carriers used submissions to a Canadian Radio-television and Telecommunications Commission (CRTC) request for information regarding misleading or aggressive sales practices to refute claims that Canadians need additional consumer protections when it comes to telecom sales. Each member of the so-called ‘Big Three’ group of carriers outlined their sales practices, while simultaneously arguing that Canada’s existing regulations and infrastructure are enough to protect consumers from harm. The Big Three carriers — in addition to the regional players and local incumbents that also submitted documents in response to the CRTC’s request for information — presented a two-pronged front. On one hand, carriers claimed that they don’t employ misleading or aggressive sales tactics, while, on the other, they claimed that if there were instances of unsavoury practices, the issues were dealt with swiftly and fairly. “We use a needs-based approach to retail sales that is designed to meet the needs and budgets of our customers,” reads an excerpt from Rogers’ submission. Rogers noted that of the approximately 60 million times that Rogers representatives interacted with customers “over the past year,” only 0.004 percent — roughly 2,200 — of those interactions were complaints. “Over the past year, Rogers sales and service agents interacted with customers on more than 60 million occasions, which resulted in a small number of complaints (2,200) from customers that were sales related,” reads an excerpt from Rogers’s submission. Bell, Canada’s second-largest carrier, highlighted a number of “formal and informal” channels available to consumers concerned about telecom sales practices, including provincial consumer protection outlets, civil court and the Competition Bureau. “These formal and informal means of redress are of course in addition to perhaps the single most effective form of consumer protection: the highly competitive telecommunications market place in which customers are free to switch providers in the event that they are dissatisfied,” wrote Bell. Bell also provided the Commission with formal numbers representing how many customers chose to “terminate or deactivate a service,” but those figures were filed in confidence. For its part, Canada’s third-largest carrier Telus claimed that its “focus on the customer” is what prevents individuals affiliated with the carrier from abusing consumers. “Telus strives to ensure that customers are not disappointed after sales interactions and trains and monitors its sales agents to ensure that they provide complete and clear information regarding all aspects of each product and service,” reads an excerpt from Telus’s submission. 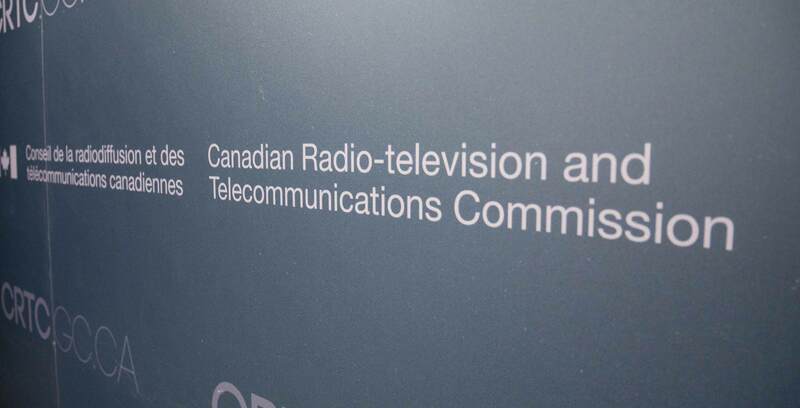 As a means of defending its claims, Telus pointed out that the Commission for Complaints for Telecom-Television Services (CCTS) only accepted 511 complaints lodged against Telus. It’s important to note that as of April 2018, the CCTS calculated a 73 percent increase in telecom complaints compared to the same time in 2017. In spite of comments made by all of Canada’s major telecom players, submissions from general telecom consumers and former telecom employees allege years of mistreatment at the hands of Canada’s telecommunications service providers. While these allegations have yet to be vetted by MobileSyrup, approximately 1,200 individual submissions — as well as additional submissions compiled by digital rights advocacy group OpenMedia — suggest that Canada’s telecom players aren’t as consumer-minded as they claim. Joshua Powles, a professor of biology at Loyalist College in Belleville, Ontario, used his submission to recount his experience as a Bell representative while working at The Source. The Source is an electronics retailer currently owned by Bell Canada. Powles said that he began working at The Source in 2014 while he was completing his PhD at Queen’s University in Kingston, Ontario. “About a year into my job, I noticed a shift in the company, it was well known that Bell was ramping up sales pressure, and The Source was at risk of retaining its status as a company,” said Powles, in his submission to the CRTC. Powles new manager allegedly bullied sales representatives “who would not sacrifice everything to make a sale” while also training Bell representatives to force unnecessary or unwanted services onto customers. “I was even told once, by a Bell representative, to lie about Bell services, in terms of internet speeds and quality to convince [the] elder population to sign up,” said Powles. Important to note is that Powles’ own submission is quite rare, as many of the interventions filed with the Commission were written by irate customers, rather than concerned current or former employees. While Canadians across the country filed submissions highlighting concerns with Canada’s telecom industry, three of the country’s most prominent digital and consumer rights advocates took distinct approaches to addressing the issue of unsavoury telecom sales practices. OpenMedia, for example, submitted a 325-page document full of additional concerns from Canadian consumers. The Fair Communications Sales Coalition (FCSC) — a group comprised of the Public Interest and Advocacy Centre (PIAC), Association of Community Organizations for Reform Now (ACORN) Canada, the National Pensioners Fund (NPF) and the Canadian Association of Retired Persons (CARP) — highlighted results from its own investigations in its 93-page submission. “In FCSC’s view, the CCTS should administer any consumer protection rules or codes of conduct that result from the Commission’s inquiry and eventual report,” reads an excerpt from the FCSC’s submission. The FRPC’s submission also highlighted the fact that the CRTC’s current unsavoury telecom sales practice investigation came in the wake of the Commission’s Valentine’s Day denial of a PIAC request for a similar investigation. Now that the CRTC has officially closed its request for information, the Commission’s next step is to hold public hearings set to begin on October 22nd, 2018. Once the hearings have concluded, the Commission has until February 28th, 2019 to submit its final report regarding misleading or aggressive telecom sales practices in Canada.